We love doing workshops and have attended many ourselves at different venues so when some extra space became available next to our shop we jumped at the chance to set our own up! We have dedicated followers who come to all our workshops and some that just dip in and out depending on what we are doing. The workshops are aimed mostly at adults as they are usually throughout the daytime, however we do go out to other clubs in the evenings if required. We can also cater for children’s groups such as guides and scouts. During the school holidays we run a Kids Club where children can come along and be creative, these happening usually on a Wednesday. We have just recently had a build a bug competition and the bugs are hanging up outside our shop for all to see! We provide refreshments as part of the class and if you attend all day there is a restaurant to purchase lunch if needed. Our forthcoming workshops are listed on our website and Facebook, and items we will be making will be displayed at the front of our shop along with workshop details. Bring your own project or share your ideas and teach someone else. Meet the second Thursday in the month at a cost of £5 per session unless a change of price is indicated. meet on the third Sunday of every month in the afternoon 2pm – 4pm, members only. To become a member please speak to Claire James. Date & Time: third Sunday of every month, 2pm – 4pm. Price: Free Entry for members only. You can work on your own project or Gail who is our in house sewing expert will show you how to make different things. Working with Artist David Brindley using pastels to create different scenes. Date & Time: Dates vary so check with Claire or Jane when next class is. Felting and then dressing a mouse or a bear. Date & Time: 10am – 4pm. This can be arranged at a time to suit yourself so check with Diane for availability. 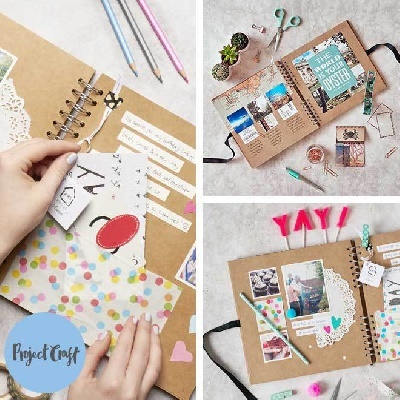 Scrapbooking is a crafting and documenting activity that involves taking books with blank pages and adding photos, memorabilia, journaling, and embellishments. Date & Time: Once a month on a Monday, 10.30am – 12.30pm. Date & Time: Thursday 9th May. English Paper is the technique of folding fabric over paper templates and hand sewing these together. The paper template shape ensures the blocks are accurate and makes it easier to piece angles together. Date & Time: Wednesday 15th May, 10.30am – 3.30pm. With Elaine a demonstrator for the company. Project using Stix 2 products. Project to be decided nearer the time. Date & Time: Saturday 14th September, 10am -12.30pm or 1.30pm – 4pm.